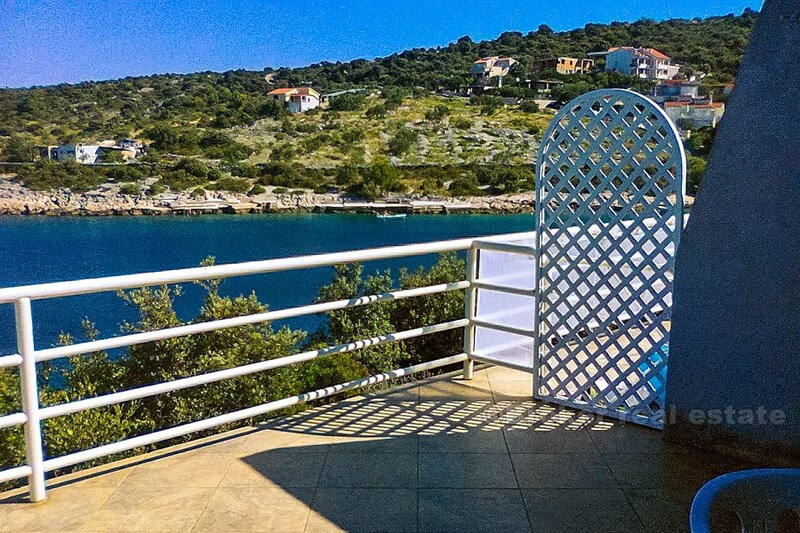 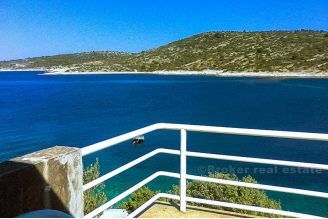 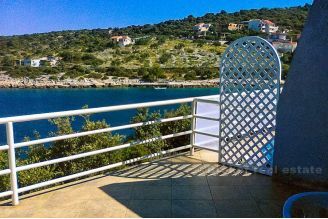 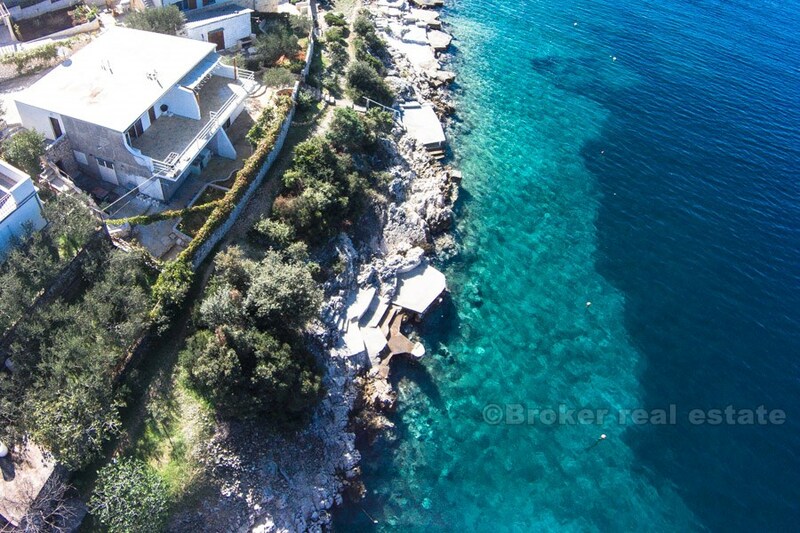 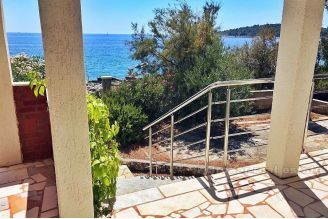 This semi finished house is located on fantastic position at first row to the sea. 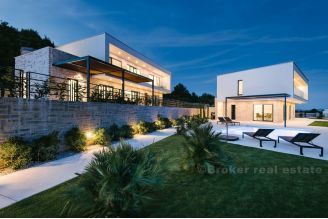 House has total of 150m2 living area, plus additional 24m2 of storage, and 50m2 of terrace. 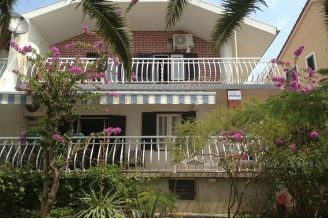 On a ground floor there is one apartment, and two apartments on first floor. 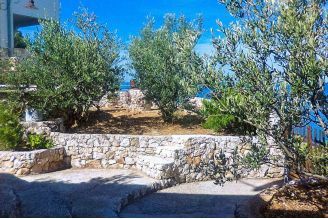 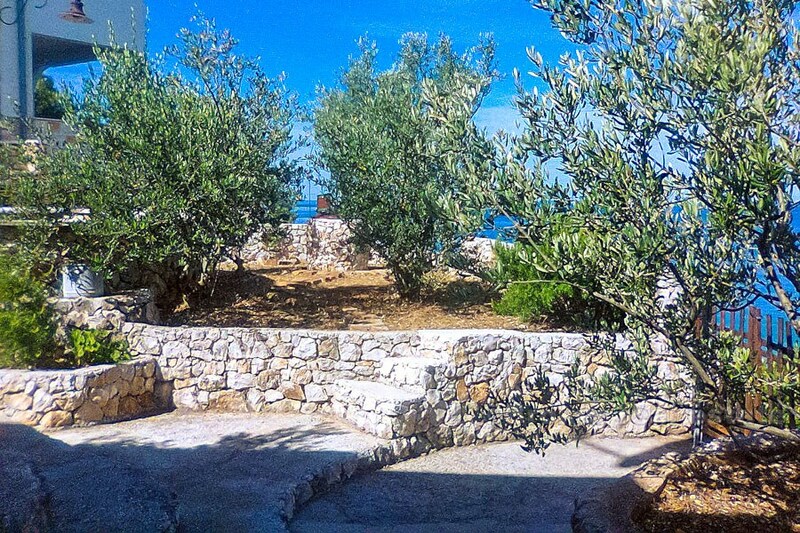 On a plot of 550m2 are plants of lavenders and 11 olive trees. 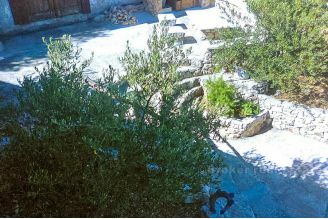 Borders of the plot are stone walls. 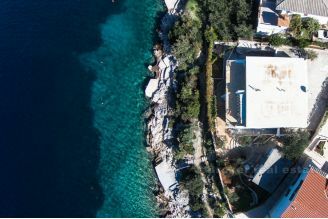 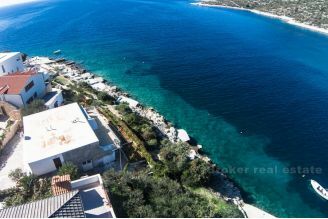 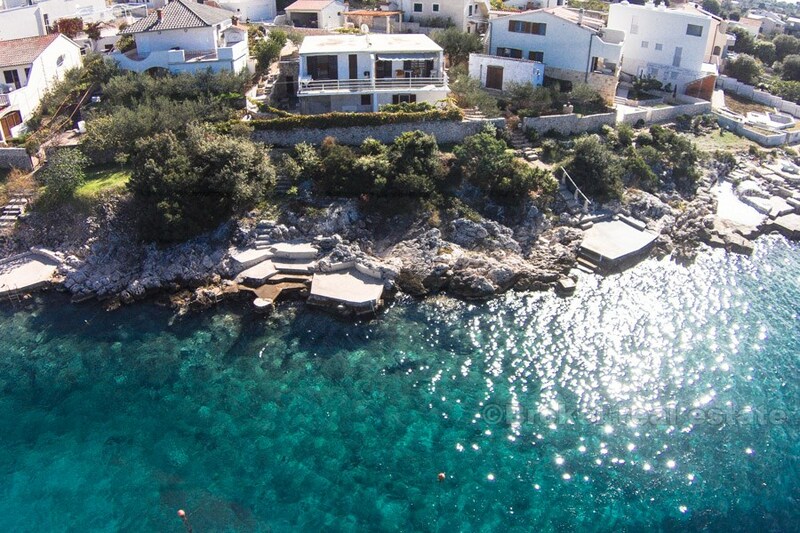 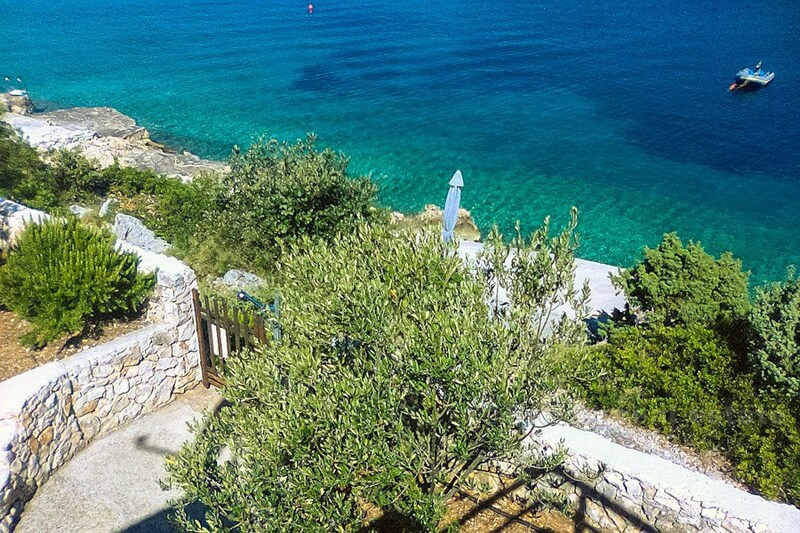 In front of the house is beautiful crystal clear sea, stone plateau with boat mooring. 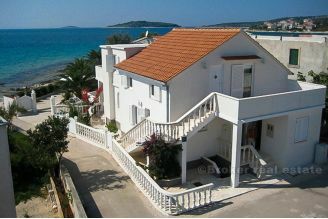 It has direct car access and parking for 3 cars. 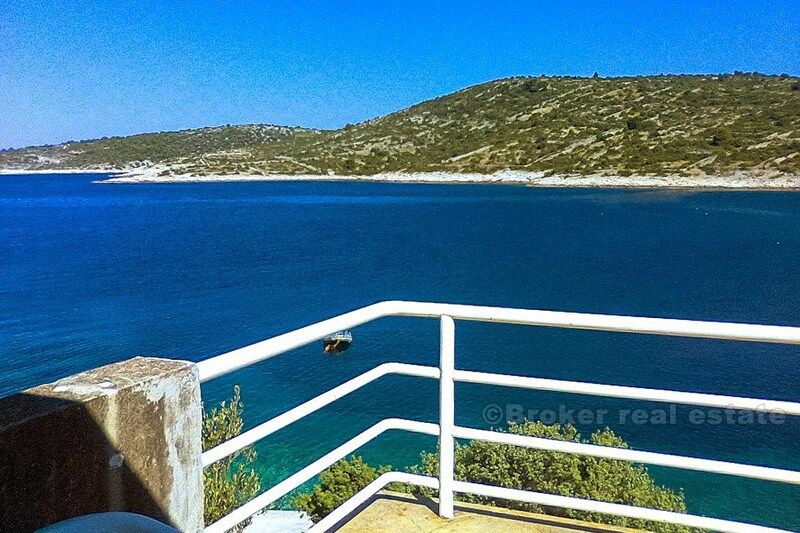 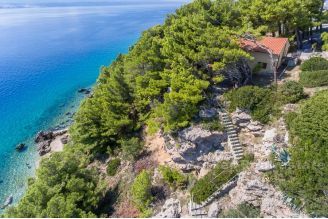 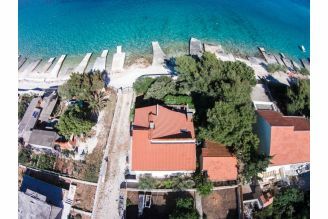 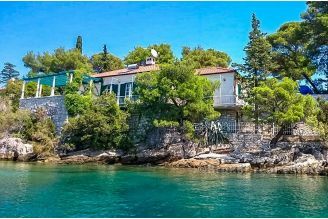 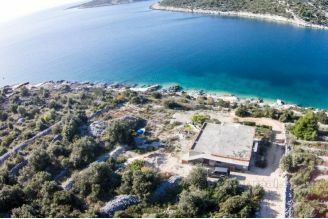 This property is real potential for building new villa on superb location.